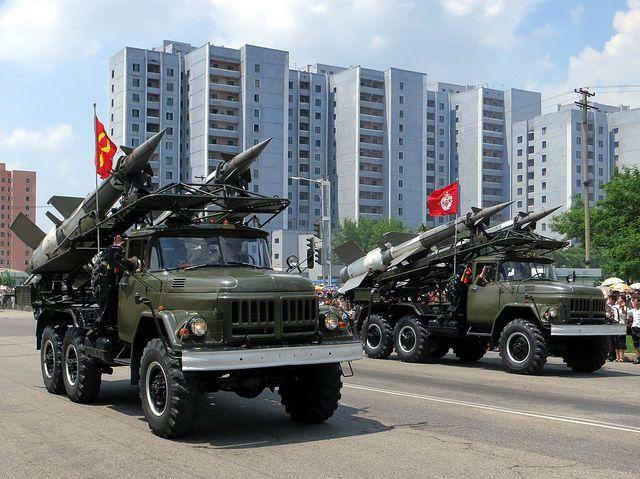 A military parade in North Korea in 2013, an exercise in which the country shows off it's military hardware. U.S. strategy and our legitimate options in dealing with a rogue state like North Korea where a war of words is already underway. Tensions between North Korea and the U.S. have escalated in recent months partly due to on-going tests of missiles Kim Jong Un could use to attack the U.S. or its allies and partly due to the war of words between him and President Trump. Our military options seem to be limited but the President has said Secretary of State Rex Tillerson is wasting time trying to use diplomacy. North Korea’s deputy U.N. ambassador has warned the situation has "reached the touch-and-go point and a nuclear war may break out any moment." Mike Collins and expert panelists look at U.S. strategy, at our options and at what a military conflict might look like if all else fails. Dr. Peter Feaver - Professor of Political Science and Public Policy at Duke University. He served as a senior adviser on the national security council for strategic planning under President George W. Bush.